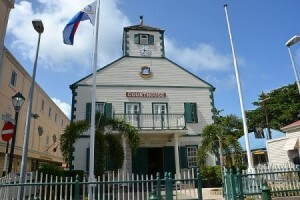 PHILLIPSBURG, WILLEMSTAD - The suspect Francesco Corallo (56) remains in detention. The judge of instruction on Friday, December 15, 2016, deemed his detention lawful. F.C. was arrested on December 13 by the Anticorruption Taskforce (TBO) of the Kingdom Detectives Cooperation Team (RST) at the request of Italian authorities. Several belongings of the suspect have been confiscated, such as - 170 apartments - Bank accounts - 18 high-end watches - 3 boats - A casino. The seizures are still ongoing and it cannot be excluded that more property and bank accounts will be confiscated. The searches and arrest that have taken place are part of an internationally coordinated action in Italy, Sint Maarten, The Netherlands and French Saint Martin. This international cooperation between Italy, St. Maarten, French Saint Martin and the Netherlands fits into the joint, intensive approach to combat cross-border corruption and fraud, also called “undermining”. Undermining, including corruption and money laundering, poses a serious threat to the security and economy of the countries in the Caribbean part of the Dutch Kingdom. The TBO of the RST, the National Detectives Agencies of Curaçao and Sint Maarten and the Prosecutor’s Office are partners in the fight against “undermining”.